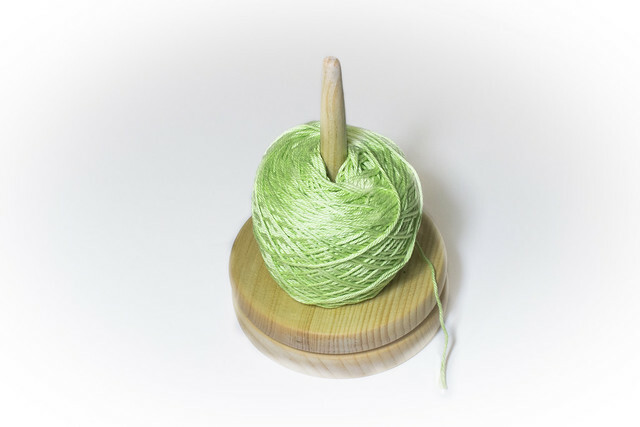 At my wife’s suggestion, I made this yarn buddy. I used some pine I had lying around, thinking it was just going to be a prototype, but it worked out well enough that I may not need to do another one. Getting the Lazy Susan bearing perfectly aligned is not a trivial matter, but the two discs are perfectly concentric… in this position… As it rotates, there’s a little tiny bit of an eccentric wobble, but that’s just part of its charm. 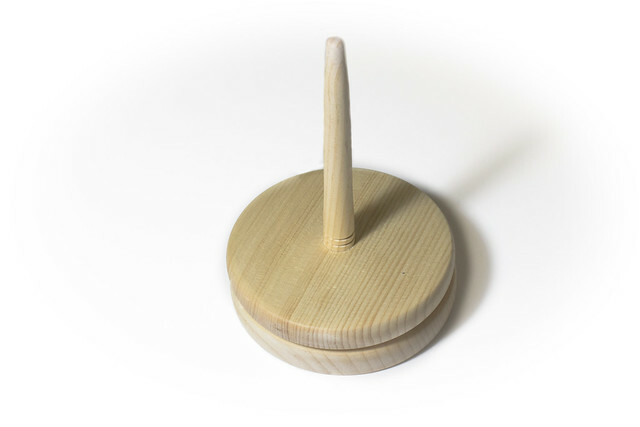 The centre spindle is friction fit and can be removed for packing the yarn buddy in a suitcase and taking him on a trip.